I have mentioned alphabet declination, yet have not switched-out any of the English alphabet so far. This is a continuation of dolphin. 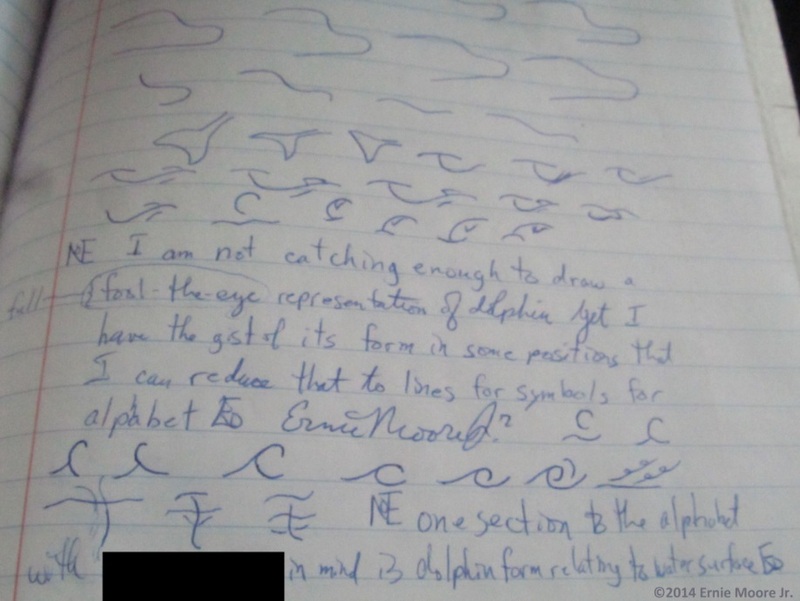 It includes a mention that I felt I was not understanding dolphin form–to the level that I can present it/draw it like it looks as if it were real. While I do not have details of dolphins I’m thinking I have generalities of their movings to advance with getting an icon. Limbs become lines and I bring-in the surface of the water. I like the look of the composite, however for me-this is not just typography–trying to get a single letter. The point is to show a progression of each letter, from first representation through evolution/devolution of use. I’m working with a dolphin flipping or diving. I went from wave to taking the curve of the wave as the curve of a leaping~dolphin.